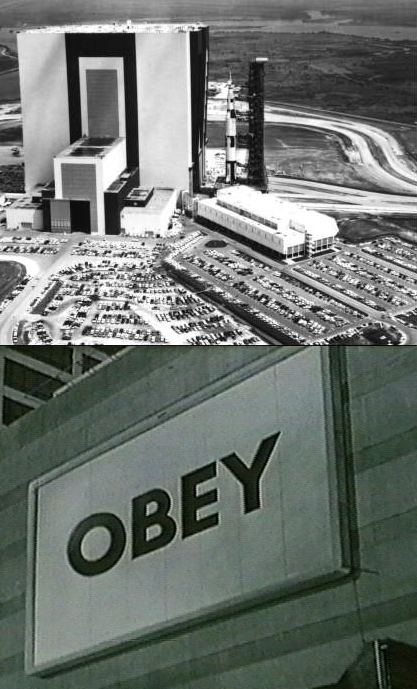 Sources: Vehicle Assembly Building, unknown date / still from John Carpenter's They Live, 1988. Can't find the links. See also: other collages.